1. 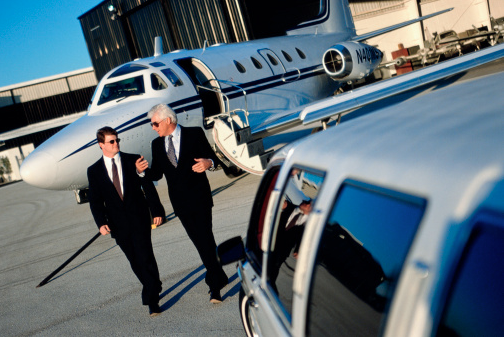 Airport Services - Want to start your visit off right when you fly into the PDX airport? 2. Anniversaries - Show your loved one how much they mean to you on your special day. 3. Around Town - Simply want to go for a ride around the Vancouver-Portland Metropolitan area and sight see? We got you covered. 4. Bachelor/Bachelorette Party - This night is all about having a blast! Our drivers can take you to any restaurant, hotel or club in our spectacular limos. 5. Birthdays - Surprise someone or treat yourself! Everyone deserves to have fantastic fun on their birthday. 6. Casino Tours - Want to win big in the Vancouver and Portland casinos? We like to think our limos can help you do so. 7. Concerts & Entertainment - Concerts around here are always packed and for good reason! Don't worry about parking and ride with us in style! 8. Church Events - Want a little motivation to get your family to church on Sundays? Rent a decked out limo to take you there! 9. Dining In Style - Impress your family and friends and make some memories on the way to dinner. There are some fantastic restaurants in the Vancouver area! 10. Executive & Corporate Events - Being the hard working and successful business person that you are, you deserve to have a little enjoyment in our luxurious and fantastic vehicles. 11. Funerals - As hard as they can be, allow your family/friends to have some privacy and remembrance to and from the memorial. 12. Graduations - Graduating anything is a big big deal! There is nothing like enjoying one's accomplishments in one of our lavish limos. 13. Night On The Town - Experience the lights, glamour and beauty of the Vancouver and Portland area in extreme luxury. There is tons to do! 14. Prom - Role into the dance like a rockstar. 15. Seasonal Events - From Christmas light tours, to Valentine's Day celebrations, to Halloween costume parties, to New Years Eve events. You name it, we got it. 16. Sporting Events - Want to go see a Trail Blazers or Timbers game in style and not have to worry about keeping track of your car? Call Vancouver Luxury Limos and we will take care of it! 17. Storks Ride Home - Give your newborn it's first out of the hospital experience in one of our beautiful, safe and comfortable limousines. 18. Weddings - Once in a lifetime moments and celebrations deserve the extravagant luxury that we provide. 19. Wine Tours - They just aren't as good without limo transportation. It's plain and simple. Call us at 360-362-8883 or fill out the quick and easy Quote Form today for specials on Limos and Services in the Everett area. If your desired service was not listed above don't worry, we still want to serve you!